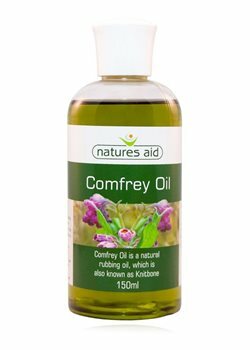 Natures Aid Comfrey oil is manufactured by extracting the goodness from the finest quality Comfrey root and Comfrey herb. This is achieved by slowly infusing the Comfrey in a soothing natural oil. Comfrey is often called Knitbone and has been highly valued since Roman times. For external use only and not recommended for use during pregnancy or when breastfeeding.